4-30-10: I have to get into the habbit of posting projects more then once a year!!!! 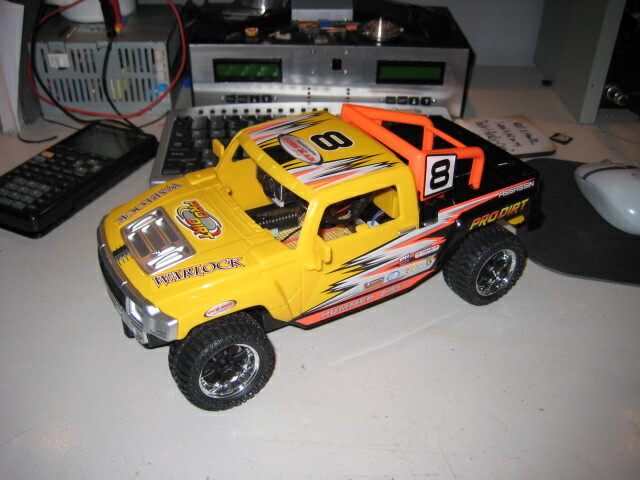 Project: I needed a way to get the audio from my MP3 player into the stereo in my car. The best route would be to get a head unit that supports MP3 play back. Unfortunatly my Mazda 3 dashboard does not really lend itself to replacing the stereo head unit. While surfing one day I ran accross the NS73M FM Stereo Transmitter module from SparkFun Electronics and the project was born. 4-3-09: Holy crap it has been to long since this site has had anything new. Sorry for not staying more current with the current project progress. I had made plans to make weekly or bi-weekly posts but I got progress high and have just been plugging away at the GB Uber Cart. I have made lots of progress on getting it up and running. Check ou the progress on the UberCard page. I'll try to get some videos posted in the next week or so showing the GB booting off the cart. Here it is in all its glory!!! 1-23-09: The PCB came in for the UberCart project. The link below to check it out. 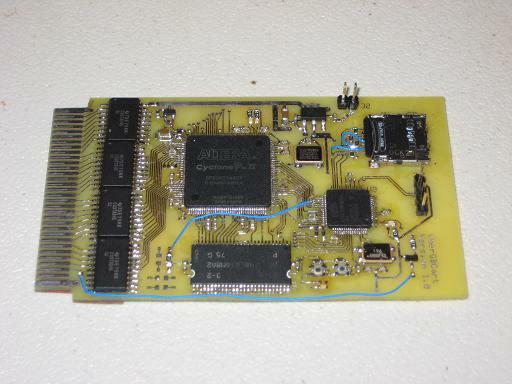 Updated: Gameboy Uber Cart The bigger project that the FRAM cart was a prelude to. 1-17-09: Added a base page for the Gameboy Uber Cart project. This is the project that is consuming most of my project time. Use the link below to check it out. I have also added some information on some older projects that I did. Added: Gameboy Uber Cart The bigger project that the FRAM cart was a prelude to. Added: IR Remote Control Nifty IR remote control. 1-16-09: Time for another update. I have done some house cleaning to fix some misc. issues here and there. Apperently the HEX files were not downloading properly so I created archives of the projects that had such files. I have been working on a few projects that I am in the process of creating pages for those projects. The projects include a universel LCD destroyer... I mean a POV propeller clock and a Gameboy color/origonal super cartridge that allows gameboy games from an microSD card. Added: Gamboy FRAM Cart Prelude to bigger project. 10-31-08: Happy Halloween. Finally got around to posting some information on my homemade Arcade Cabinet. The cabinet is design to run the MAME emulator and play tons of old classic arcade games. The cabinet required that a Keyboard Encoder be designed and built that would allow the arcade controls to be interfaced with the PC. In this case the controls are mapped to keyboard buttons to allow easy intergration of the arcade control panel. 10-26-08: First new content on the new page. I have added a project to the Misc. Projects section. It is a work bench that I constructed for the garage. Head over and check it out. Stay tuned for more stuff. 6-20-06: Anger Management placed First at the annual AHRC Robot Rally (click to see pictures). Anger Management went through the field with a record of 5-1. The only loss being to the second place bot who was a very tough competitor. Sensory Overload did better then expected with a record of 2-2. Sensory Overload would have faired better if the batteries had not died during a semi-final match. Most of my current work has been going into Balancing Explorer. I will add some pictures from the Robot Rally and of my progress with the robot when I get some free time. 4-2-06: Wow long time with no update.... Been kind of busy lately. Life has a way of getting really hectic at times. It is now less then six weeks until AHRC Robot Rally. I am planning to enter two mini sumo robots. The first one will be Sensory overload and the second one is Anger Management. I hope that both will do well. Page Updates: Added Anger Management and Balancing Explorer to Robot Pages. 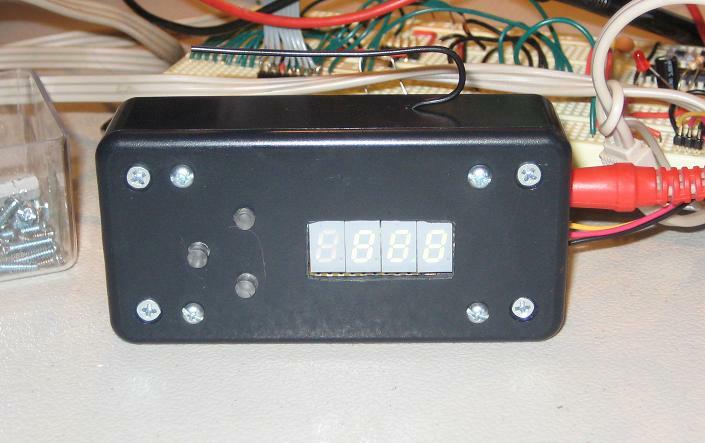 Added pictures for the PSU and added page for creating a PCB Etching Tank. 11-25-05: Updated Sensory Overload page to show changes in the sensor locations and added new pictures and some videos. 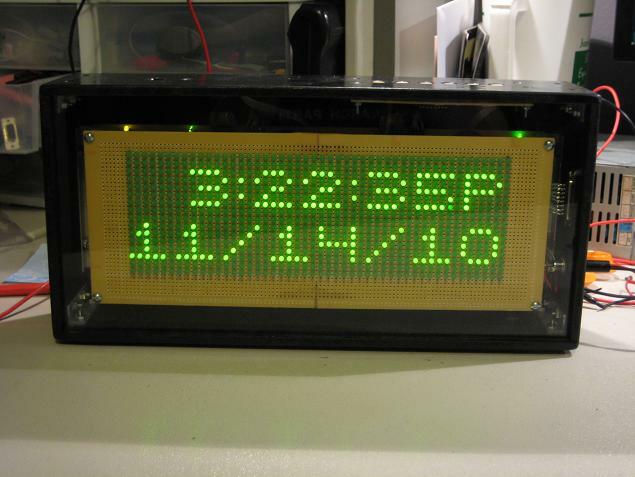 Added source code for all completed projects in the Electronics section. 11-22-05: Reworked the robot pages adding schematics for Sensory Overload and Feeling Blue. The assembly code for Feeling Blue is also posted. Also made the robot pages easier to read. After many years of inactivity I have decided that the site needs a face lift and some more attention. The old site was never meant to last more then a few months before I put up something more permanent. Well life being what it is I never got the time *cough* to lazy *cough* to put up a proper web site. Now that life has calmed down a little I will be updating the site and posting some of the new projects that I have made in the past two years. Among the new projects is an Arcade Cabinet complete with homemade keyboard encoder, some PIC based USB hardware, updates to some of the already posted projects on the site and a homemade IR remote control. Stay tuned as there will be many updates in the following weeks. I am interested in starting a Robotics\Electronics club in my area of the US. I live in Pensacola FL which is in Northwest Florida so the group most likely covers Northwest Florida and possibly some of South Georgia and Alabama. If anyone is interested in being in or having anything to do with such a group please don't hesitate to email me.